Arctic is changing. Based on the current global warming trend, the Arctic region will be warming more rapidly than the global mean (IPCC 2014). Accordingly, global climate change has placed the Arctic in the centre of geopolitical discussions as Arctic ice cap is melting and transforming the region from a scientific interest into a complex set of commercial, national security and environmental interests with profound implications for the international legal and political systems. Thus, the Arctic is subject to major and rather rapid changes in terms of social, economic and environmental processes due to the climate change impacts which are opening up a new and broad set of strategic issues to be discussed. These issues cover management of natural resources, environmental protection, new shipping lanes, shipping trade, economic development, legal issues as well as governance and security. Consequently, these processes will have significant impacts on the region’s population. Public diplomacy programs such as Fulbright, a flagship educational exchange program, must be able to respond to global challenges; one of the largest challenges we face is the global climate change. Therefore, US government has taken the world famous Fulbright, further with the Fulbright Arctic Initiative (FAI). FAI is US’ state department’s prime education outreach on Arctic issues. It is a signature project of the U.S. Chairmanship of the Arctic Council during 2015-2017 to stimulate international scientific collaboration and address the challenges facing the Arctic communities in the phase of a changing climate. There is an urgent need for expertise that informs policy to ensure the sustainable future of the Arctic. FAI is called for action for the academic community to contribute in this grand mission. 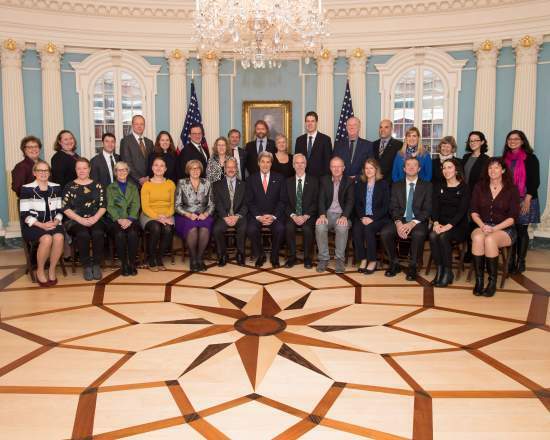 The US State Department in collaboration with seven other Fulbright Offices in the Arctic Nations launched the FAI to focus attention on the immediate impacts of climate change in the Arctic; with a specific focus on the environment, communities and people. The FAI is a new concept within the Fulbright and built on the traditional Fulbright model of an individual scholar with an academic exchange abroad within a discipline to expand the vision and the quality of the work. The FAI program brings together 17 scholars from the Arctic Council’s eight member countries (Canada, Denmark, Finland, Iceland, Norway, Russia, Sweden, and the United States) to work on thematic teams by forming multidisciplinary and multinational research teams. The objective is to work on collaborative projects by focusing on four key issues such as energy, water, health and infrastructure to address complex policy challenges concerning environment and people in the Arctic. By bringing together a group of scientists to work together in a cross discipline way, the aim is to stimulate collaborative research that would be both accessible to public audience and relevant to policy makers. FAI scholars have been working on finding solutions to our shared challenges in the Arctic. The entire group of scholars met for the first time in Iqaluit on Baffin Island in the Nunavut territory of Northeast Canada in May 2015. The group continued collaboration through 3 plenaries (Iqaluit in May 2015, Oulu in February 2016 and Washington DC in October 2016) and webinars online at the end of each month. There are three working groups established within the program; “Energy”, “Water” and “Health and Infrastructure”. As one of the scholars representing Sweden, Asli T. Dis, Research Fellow, Nordregio is assigned to the Health and Infrastructure Working group in which the focus is on developing a common knowledge base addressing the interactions between health and infrastructure in the context of the Arctic Region. Community wellness in the Arctic is a concept that is discussed by many who live and work in the Arctic region. There is recognition in the scientific community that holistic and multi-sectoral approaches are needed for community wellness, however we lack models for research collaboration across different sectors and policy formulation. The health and infrastructure working group under the FAI is working to develop a holistic model of Arctic health and well-being that is more inclusive and responsive to the challenges and opportunities that characterize northern regions. 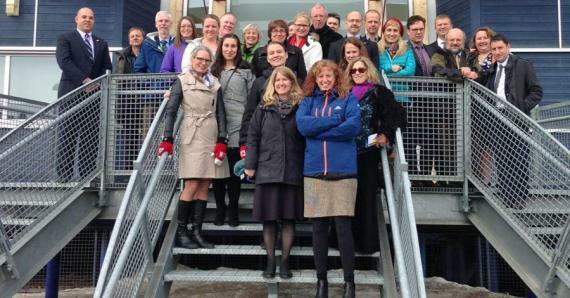 Building on the intersection of biology, ecology, engineering, spatial planning and epidemiology, the Health and Infrastructure Working Group has focused on issues of sustainability, resilience, and health policy in the Arctic region. This research is focused on developing an integrated model of socio-ecological interactions, relationships and outcomes that impact health and wellness in circumpolar countries. The overarching goal of the group is to explore how multidisciplinary approaches could enhance the understanding of community wellness in the Arctic. 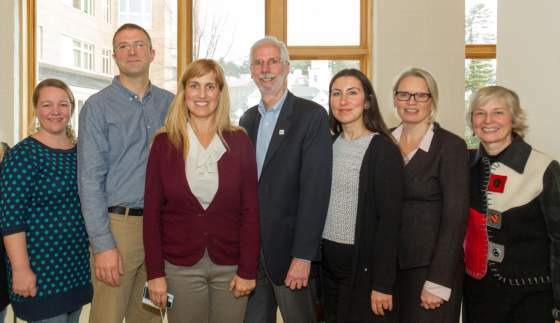 Health and Infrastructure Group held a seminar at Dartmouth College in January 2016. The seminar brought together experts and local community representatives to discuss community perspectives on health care and delivery, infrastructure challenges, youth engagement, and traditional knowledge. The Dartmouth seminar was a consensus seminar featuring facilitated panel discussions by experts, breakout sessions, and non-traditional and holistic approaches, including a traditional talking circle to ground the academic discussion in the shared, first-hand experiences of community members and health care providers. The seminar was an important first step to create a solid basis for future collaboration on important social issues affecting Arctic communities and for the inclusion of indigenous methodologies into Arctic research. In February 2016 the FAI scholars were gathered for meetings in Oulu, Finland. A midway seminar titled Fulbright Arctic Symposium: Towards a Sustainable Arctic Future was held to showcase the progress been made among the working groups. The FAI Scholars received a video greeting and endorsement from the U.S. Secretary of State John Kerry. The program scholars conduct individual research projects and an academic exchange. This part of the program is the traditional Fulbright model. Each scholar is also working on their individual research projects; in this context, Asli T. Dis focus is on the urban transformation challenge of Kiruna, a sub-Arctic town, situated 145 km above the Arctic Circle in the northernmost part of Sweden. Kiruna is experiencing a mega urban transformation process as the city center will be relocated 3 km east due to land subsidence affected by iron ore mining activities under the city. The aim of her project is to understand and document the spatial planning response to this natural experiment. The case of Kiruna provides an interesting example in terms of how extractive industries and related mega projects shape land use and everyday life of local communities. Understanding the concrete methods of community involvement in mega projects as in the example of Kiruna is critical for discussions on negotiation, consensus building, interactions between well-being and infrastructure and also for ensuring true sustainable development. Furthermore, relocation might be a recurrent theme for cities in other parts of the world in rapidly changing urban development contexts, especially in the phase of a changing climate. Thus, lessons learned from this natural experiment can particularly be useful for planners and decision makers in other parts of the world. 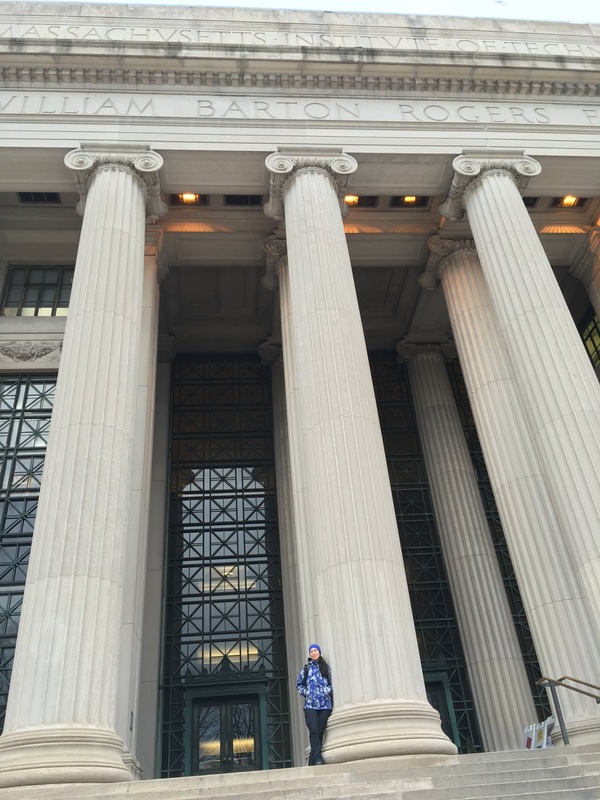 As part of the FAI individual academic exchange visit, Asli was on a research exchange visit as a visiting research scholar at the Massachusetts Institute of Technology at the Department of Urban Studies and Planning and hosted by the Environmental Policy and Planning Group during spring 2016. This visit provided the opportunity to interact with other urban scholars and discuss this case from an international point of view. US State Secretary John Kerry with the Fulbright Scholars.